Good for all hair types for smooth, shiny hair. The Koh-I-Noor Wide Rectangular Hair Brush with Natural Bristles is a sophisticated grooming tool. 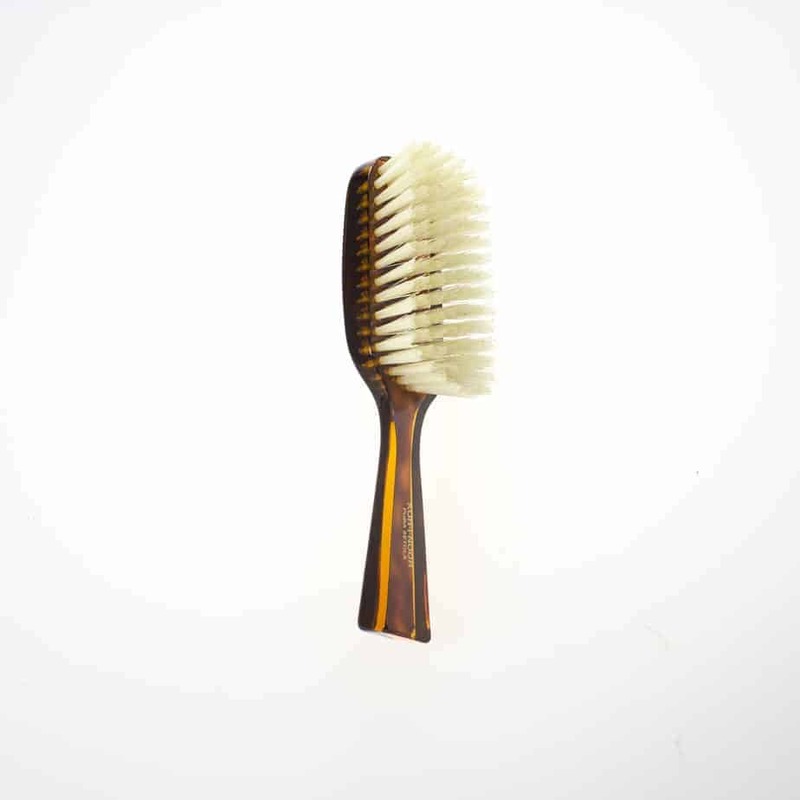 Hand-crafted in Italy, it features firm natural bristles that will condition your hair and stimulate your scalp. Part of the Jaspè collection, its faux tortoise handle is designed for comfort. 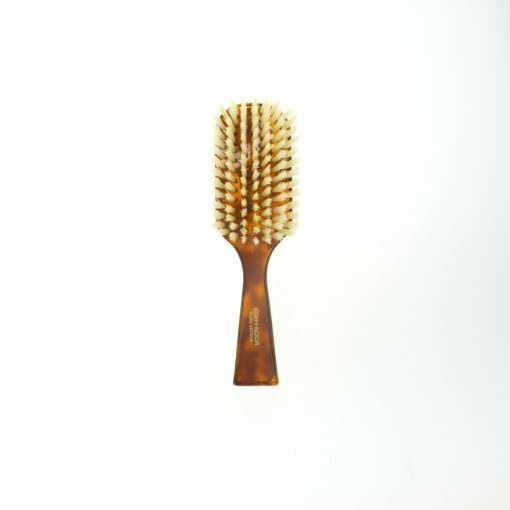 17.5 x 4.6 cmCare: Remove any excess hair from your brush and swirl the brush in a bowl of lukewarm water with a little shampoo in the water. Rinse thoroughly, removing all soap, dirt, hair and oils. Air dry. Never mass-produced, each brush is made by hand. The Jaspè collection features an iconic tortoise shell design, making it one of our customer favorites. Handle and body are made of cellulose acetate with a gold-stamped logo. 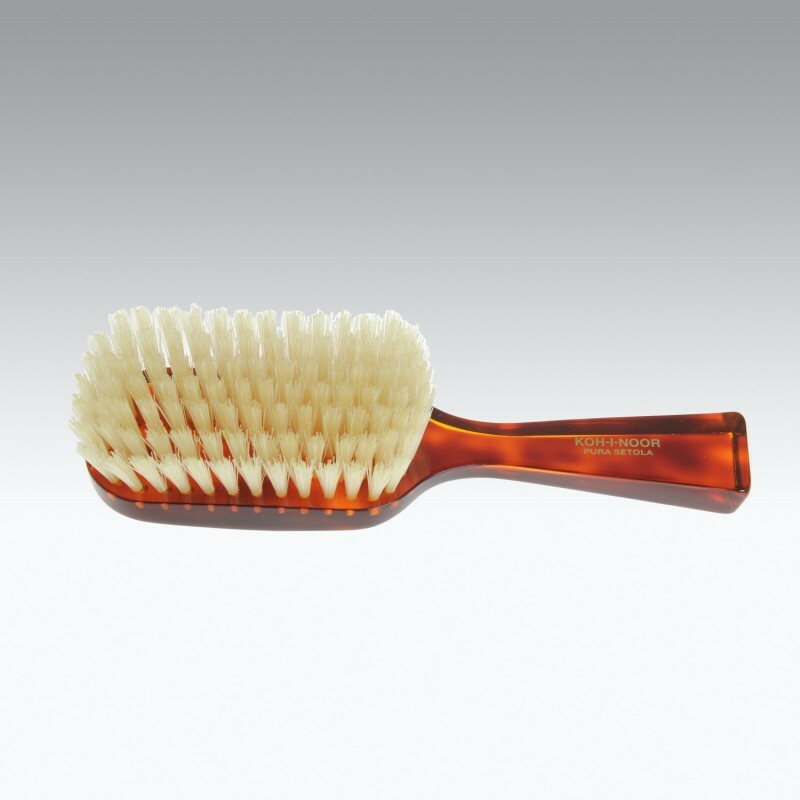 This hair brush has firm natural bristles and is good for all hair types. Love this brush! I got it as a gift and my hair really looks so healthy. I have a lot of full hair. This brush gives me great smooth hair! Totally worth it. 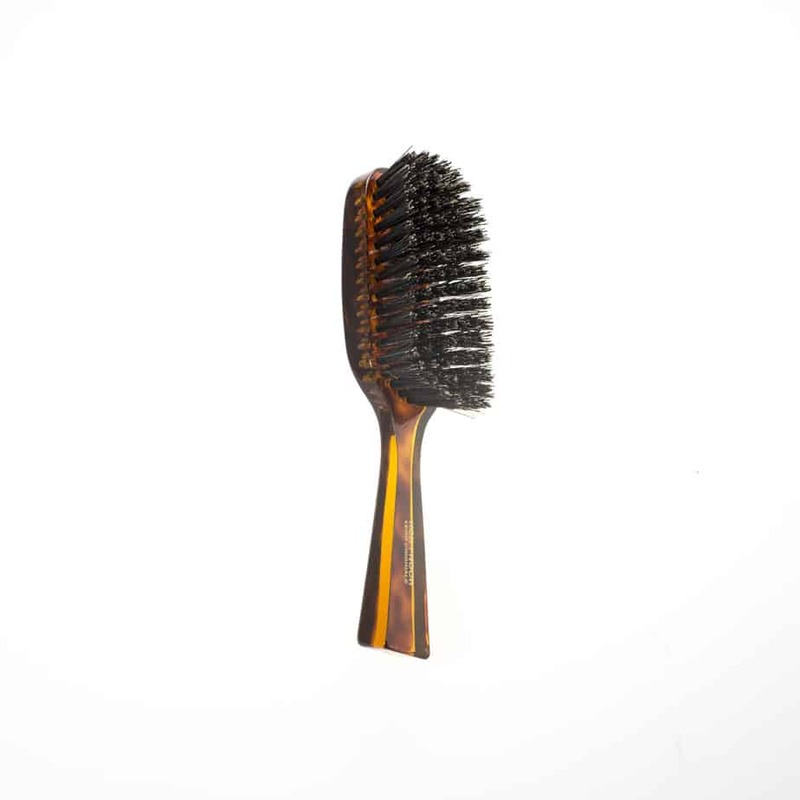 I have somewhat fine hair that tends to be dry and this brush reduces the need for so much product.